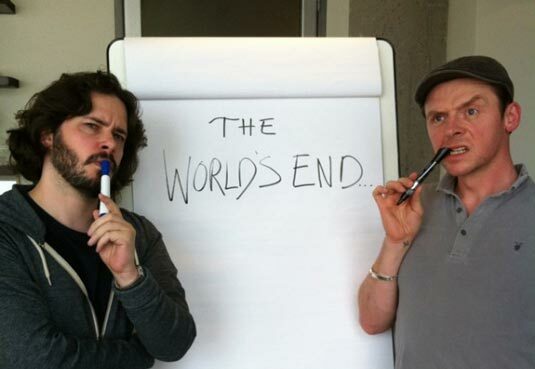 Working Title Films and Big Talk Productions have started shooting The World’s End, the third installment in Edgar Wright‘s trilogy of comedies, following the successes Shaun of the Dead (2004) and Hot Fuzz (2007). As with the two earlier pictures, Wright co-wrote the script with Simon Pegg, who will once again star alongside Nick Frost and recently announced Rosamund Pike and Paddy Considine, and now the team widens with actors Martin Freeman and Eddie Marsan joining. In The World’s End, 20 years after attempting an epic pub crawl, five childhood friends reunite when one of them becomes hellbent on trying the drinking marathon again. They are convinced to stage an encore by mate Gary King, a 40-year-old man trapped at the cigarette end of his teens, who drags his reluctant pals to their hometown and once again attempts to reach the fabled pub – The World’s End. 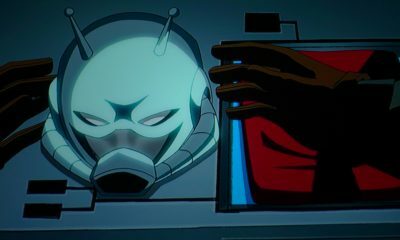 As they attempt to reconcile the past and present, they realize the real struggle is for the future, not just theirs but humankind’s. Reaching The World’s End is the least of their worries. The World’s End is also Mr. Wright’s third movie with Working Title and Big Talk, following Shaun of the Dead and Hot Fuzz; The World’s End is produced by Nira Park of Big Talk and Working Title’s Tim Bevan and Eric Fellner. The film will be executive-produced by James Biddle, Mr. Wright, Mr. Pegg, Mr. Frost, and Liza Chasin. The helmer is also reteaming with director of photography Bill Pope, production designer Marcus Rowland, hair and make-up designer Jane Walker, editor Paul Machliss, stunt coordinator Bradley Allen, and VFX Double Negative. Guy Speranza is the film’s costume designer. The new movie is filming in the U.K. As with the first two movies in the trilogy, Universal Pictures International (UPI) will distribute The World’s End internationally and Focus Features will distribute it in North America. 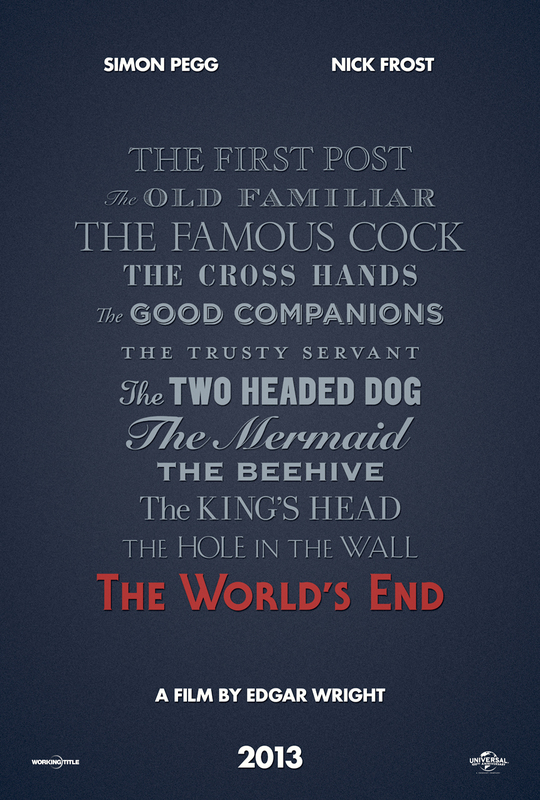 The World’s End comes to theaters on August 23rd, 2013.